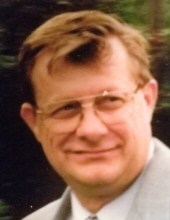 Charles K. Witherell, 74, of Ghent, NY. Born September 29, 1944 in Middletown, NY he was the grandson of Hazel and Franklin Gleason who guided him through life. He is survived by his wife, of 46 years, Alice O’Neil Witherell, his children, Charles J. (Tonya), Michael Andrew (Kami) and Benjamin (Kelsey). The light of his life were his 16 grandchildren and two great grandchildren He is also survived by his siblings, Linda (George) Jenkins, Joy (Ray) Hamilton and David H. Meyers. Charles was predeceased by his son Matthew and sibling Max Meyers. He retired from the IBEW Tree Trimmers and then from the Town of Chatham Highway Department. Charles was a member of the Ghent VFW and he considered them his second family. He enjoyed hunting and golf, with great memories of his many golf trips. Family will receive friends Saturday, February 16th at the French, Gifford, Preiter & Blasl Funeral Home from 1 to 3pm. A celebration of life will follow immediately at the Ghent VFW. In Lieu of flowers donations in Charles’ memory may be made to the Morris Memorial, PO Box 184 Chatham, NY 12037. To send flowers or a remembrance gift to the family of Charles Keith Witherell, please visit our Tribute Store. "Email Address" would like to share the life celebration of Charles Keith Witherell. Click on the "link" to go to share a favorite memory or leave a condolence message for the family.